If you or someone you love has sustained injury while on the job in North Carolina, you have a legal right to file a Workers Compensation Claim. We can help you, your family or anyone that you know. Give us a call today. The consultation is free. 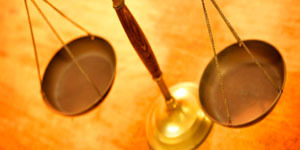 We settle most of our cases out of court with the insurance company. If it is not in your best interest to settle your claim, we will take your case to court for you. We have represented clients in cases involving death, serious personal injury, serious back and neck injuries, and most other injuries caused by accidents. Call us for a free personal injury consultation: 704-283-5070.